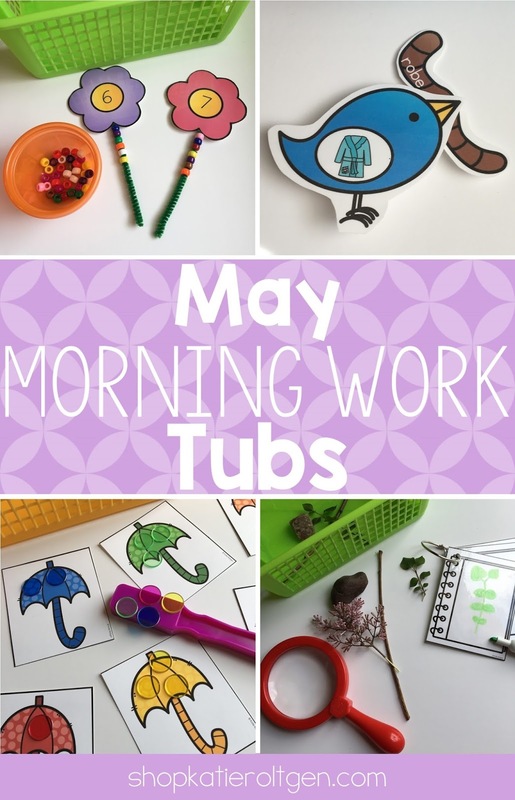 I have great news: May Morning Work Tubs are now posted! I'm so excited to have these ready for you. 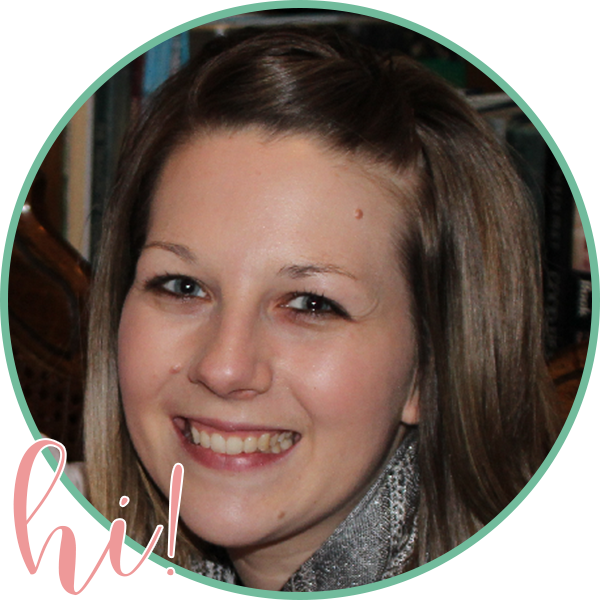 I'm excited to say that I was able to incorporate many of the themes and materials that many of you have requested! 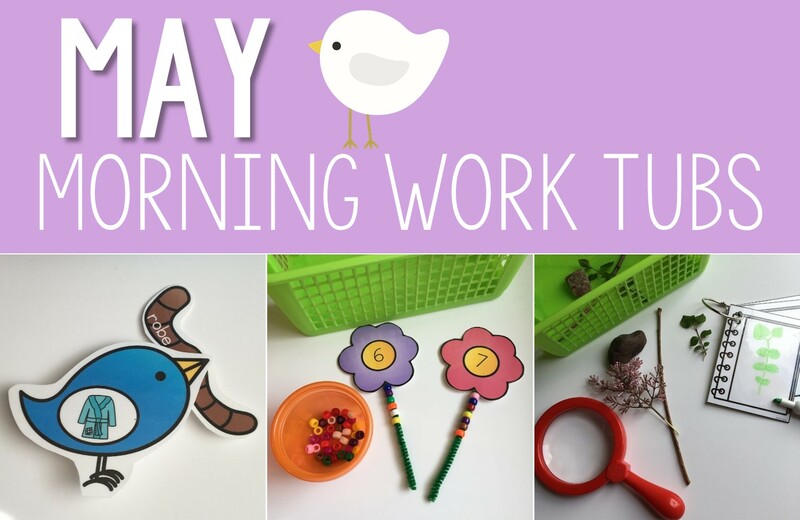 The May activities are pretty heavy in spring themes, such as flowers, bugs, and birds. Some of you told me that you do an ocean theme in the spring, so I made an ocean activity. I also added a weather activity that's in the style of my color-by-number packs, and I included a really neat life cycle sequencing activity, too! Here are all 20 activities included in the May pack, plus some affiliate links to materials on Amazon to help you out! 1. Sight Word Spin & Trace: This is editable! Also, I changed the yellow spinner choice to pink because I've been having a hard time finding yellow dry-erase markers. These are the spinners I have! I hot-glue them to the laminated spinner and they work great! 2. Beginning Blend Puzzles: There are eight blends included! 3. Short Vowel Spin & Cover: Yes, another spinner activity! I keep hearing how much your students love spinner activities, so I included another one this month. You can cover the spaces with any manipulative. I used these two-color counters. 4. Rhyming Butterflies: By this point in the year, I want my students to be able to match rhyming words in addition to rhyming pictures. Therefore, I added this rhyming word matching activity. I added a fine motor component with the plastic links, which you can find here. 5. Catch a Worm: There is a CVC word version and a CVCe word version. You can use one or both! You can use these as a simple matching activity, but I made them even more fun! I glued a medium-sized clothespin to the back of each laminated bird so that the opening is behind the bird's mouth. Then, the students can clip the correct worm card so it looks like it's in the bird's mouth! 6. Scrambled-Up Sentences: I included some scrambled-up sentences in my March pack and I had lots of positive feedback about them! So, I included some more and I increased the number to ten sentences. I highly suggest putting each group of words and the matching picture card into separate sandwich-sized baggies to keep them a little more organized. 7. Butterfly Net Number Matching: The butterfly net is optional, but it certainly increases student motivation! Also, I've struggled for years to find good quality butterfly nets! The dollar spot/dollar store ones last maybe a year. This year, I splurged and bought these nets on Amazon and they are really sturdy! They're a little more pricey, but they should last for a long time! 8. Flower Pot Counting: You can use any mini flower pots you want (I suggest plastic! ), or use plastic cups. I have an addiction to all things colorful and pretty, so I am using these plastic pots. 9. Flower Stem Counting: I included quite a few counting activities this month, and here's one that combines fine motor work with the pony beads that all kiddos seem to love using! Laminate and cut out around the flowers, and then tape a green pipe cleaner securely on the back of each one. I used three-four pieces of tape. I used half of a pipe cleaner for numbers 1-10 and a whole pipe cleaner for numbers to 20. 10. Bug Jar Subtraction: Here's a great hands-on activity for sorting subtraction sentences by their differences. I saved some green paper shred from Easter and am using it with this activity to hide the bugs in "grass". 11. Bug Counting: My students have always loved using the figurine-style manipulatives, so here's a fun activity that, again, incorporates good fine motor work. Add a set of these plastic tweezers to add some difficulty! These are the bug counters that I have. 12. Flower Counting Mats: You can use any flower-shaped object for these, or students can draw flowers on the stems with dry-erase markers. It's up to you! 13. Ocean Animals 9x9 Puzzles: I promised an ocean animal activity, and here it is! I love these 9x9 puzzles and have included them in several other monthly packs. I suggest placing the puzzle mats into a plastic sleeve or laminating them. Then, put each set of nine pieces into its own sandwich-sized baggie. 14. Life Cycle Sequencing Mats: I've had dozens of requests for life cycle activities, and I hope you love these life cycle mats. I've simplified them by making the outline on the sequencing pieces match the color on the correct sequencing mat. There are mats for butterflies, frogs, ladybugs, ants, and worms. 15. Spring Playdough Mats: My five year-old LOVES these! I included a basic spring image on each mat. Your students will use playdough and other tools if desired to create on each mat. My daughter put googly eyes on her ladybug and we used short pipe cleaners for antennae. 17. Umbrella Color Sorting: Several teachers have asked if I could make a magnetic wand activity, so I decided to use magnetic wands and magnetic counters for this month's color sorting activity! Of course, you can use pom-pom balls, buttons, beads, or any other object instead! 18. Spring Symmetry: There is a traceable version and a do-it-yourself version that's more difficult! 19. Spring Lacing Pictures: I love lacing card activities, so I made some spring-themed lacing cards! I'm using some of these shoelaces that I have had for a long time, but you could also use yarn with the ends taped. 20. Exploring Nature Tub PLUS Observation Journal: This tub is a little different than the others, but I'm excited about it! You will add anything you want from nature, such as flowers, sticks, leaves, rocks, etc. Then, I made a little observation journal that's easy to assemble. Laminate it, and then your students can use a magnifying glass to study each object and record what they see in the journal! I have this magnifying glass, and the set includes a set of plastic tweezers that you could use for the bug counting tub! That wraps up my May tubs! I will be adding a summer-themed morning work tub set, and then the growing bundle will be complete! If you want more information about the May pack or the bundle, click on the images below. I would love to see pictures of how you use the tub activities in your classroom!